A 1977 preliminary subdivision plan for Orangewood Village in Orlando, Florida. This residential development is located just south of Freedom High School, off Central Florida Parkway. The real property of Orangewood Village was owned by Florida Land Company and surveyed by Daryl Ganung. Reynolds, Smith & Hills engineered the development. Now called RS&H, Inc., the engineering company was founded in Jacksonville in 1941. Original 36 x 30 inch preliminary subdivision plan, January 10, 1977: Pine Castle Historical Society, Pine Castle, Florida. 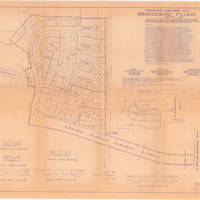 Digital reproduction of original 36 x 30 inch preliminary subdivision plan, January 10, 1977. Copyright to this resource is held by the RS&H, Inc. and is provided here by RICHES of Central Florida for educational purposes only. "Company History." RS&H, Inc. http://www.rsandh.com/about-us/company-history. 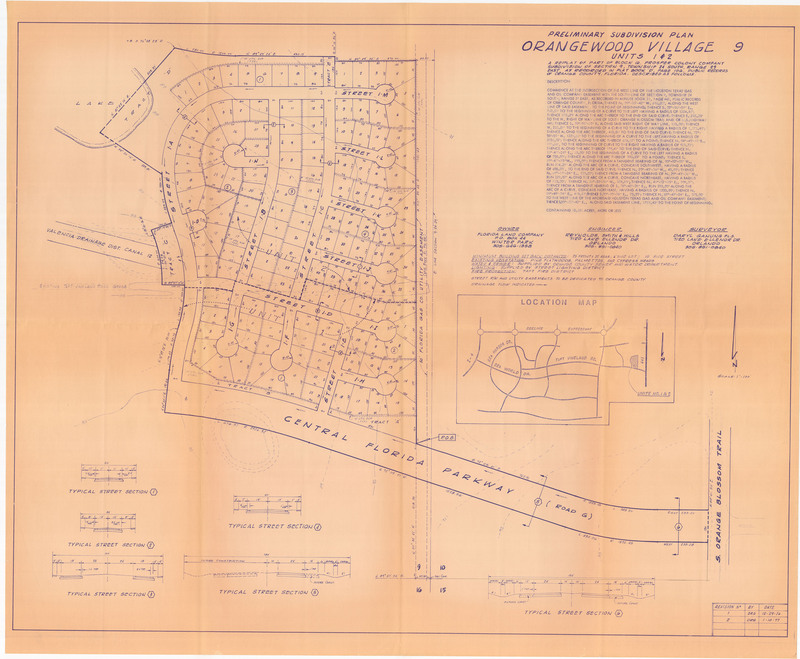 “Orangewood Village Preliminary Subdivision Plan, 1977.” RICHES of Central Florida accessed April 19, 2019, https://richesmi.cah.ucf.edu/omeka/items/show/7469.